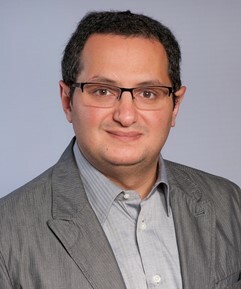 A Wayne State University College of Engineering team led by Mohammad Mehrmohammadi, assistant professor of biomedical engineering, is developing an innovative diagnostic tool that combines ultrasound and photoacoustic technology to enhance screening and diagnosis of breast cancer. The project recently earned $375,000 in funding from the Department of Defense’s Congressionally Directed Medical Research Programs (CDRMP) initiative. Biopsies have long been the primary diagnostic procedure used to determine whether a patient has breast cancer. The good news, according to the National Breast Cancer Foundation, is that 80 percent of women who undergo a biopsy do not have breast cancer. The bad news is that biopsies can result in physical and emotional distress, as well as pose a financial burden on the patient or health care provider. On its own, ultrasound has a high sensitivity to invasive cancer and is effective for scanning dense tissue but lacks in specificity and predictive value. Adding photoacoustic tomography — in which non-ionizing laser pulses are delivered to biological tissues and converted into ultrasonic emissions that can be analyzed as images — to the process may lead to a point-of-care screening and diagnosis process that is fast, accurate and non-invasive, reducing the number of biopsies performed by physicians. The technology will be implemented and tested at the Karmanos Cancer Institute, with researchers from the Molecular Imaging and Diagnostics Program.